Following a conversion which started on 1 November, Fosen Yard in Rissa, Norway, has handed STAVANGERFJORD back to Fjord Line earlier today, 13 December. 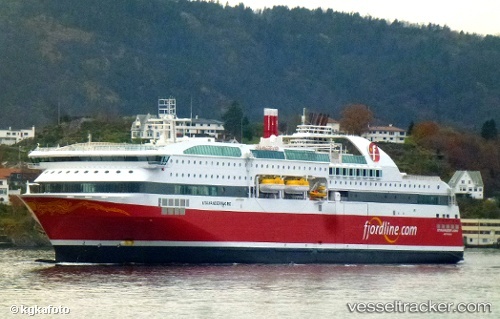 The ship will take up service again on Fjord Line’s Bergen-Stavanger-Hirtshals-Langesund route tomorrow, 14 December. On Aug 29, 2017, at 09.45 a.m. the "Stavangerfjord" had to turn around after its departure from Hirtshals, and a helicopter was requested to pick up a seriously sick person on board. The "Stavangerfjord" had only sailed for 45 minutes towards Langesund, when the helicopter was called. The patient will either be taken off by helicopter on board or with an ambulance when the ferry has docked again. Meanwhile the patient received medical help on board.